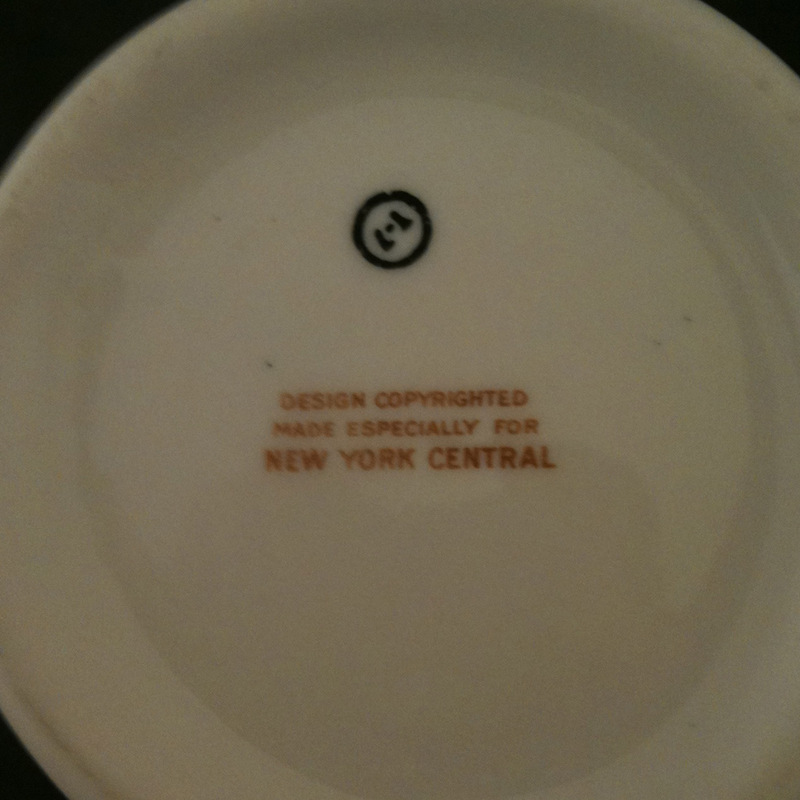 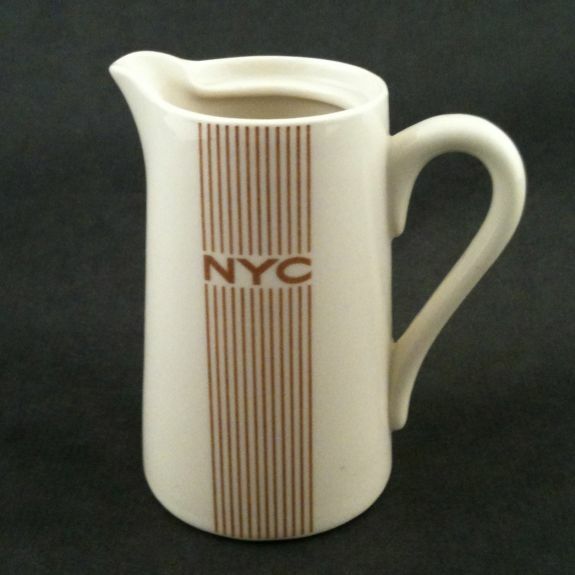 Description New York Central (NYC) Railroad 1939 Mercury Syracuse China Chocolate (Cocoa) Pot Body in the Empire shape. 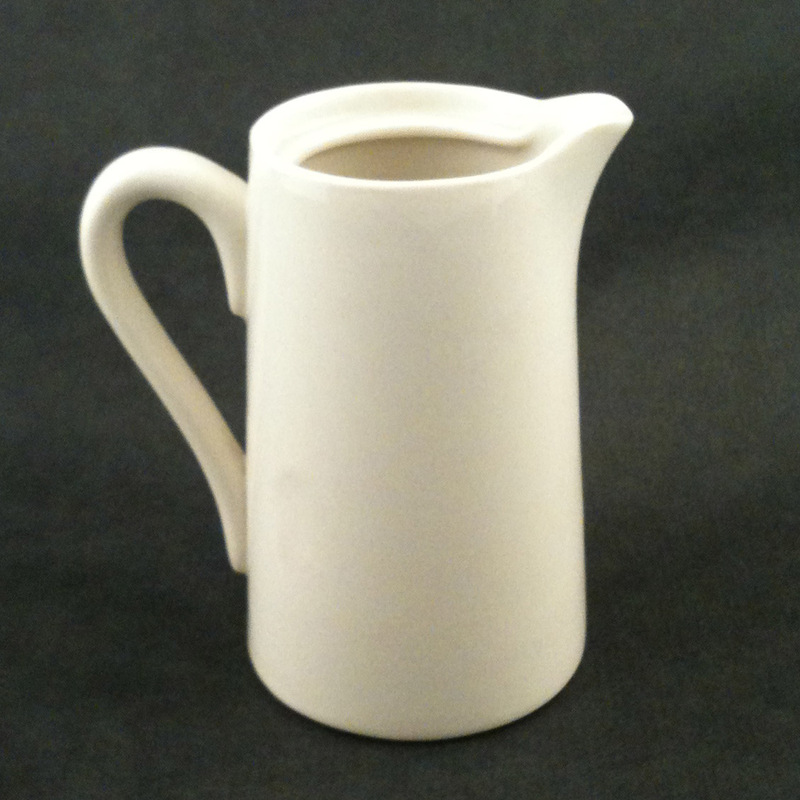 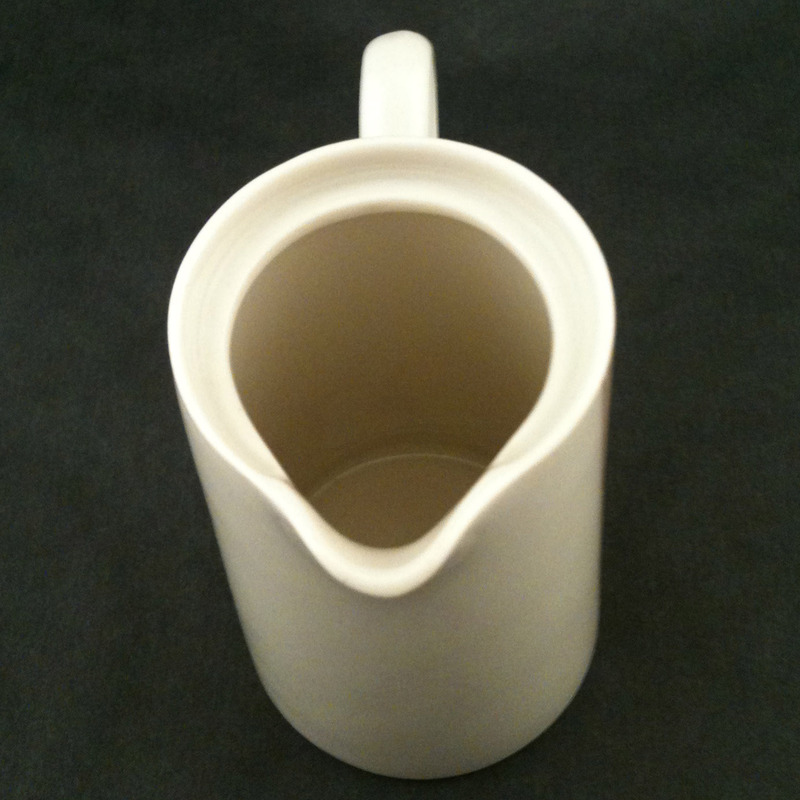 This style was replaced by the Stanley shape since the heavier handle on the Stanley model was less prone to breaking. 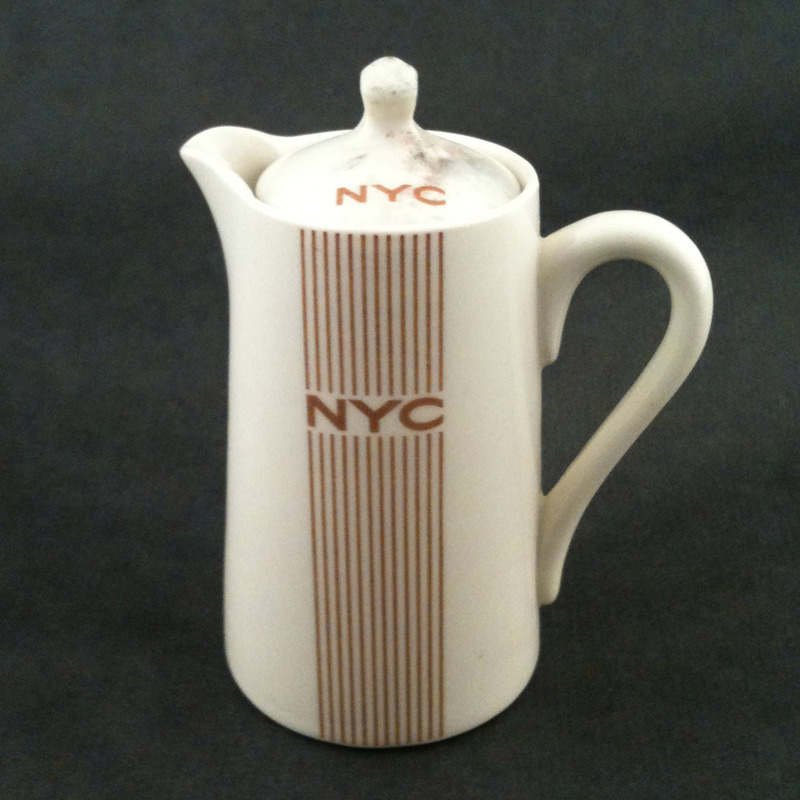 This example is from the first year the Syracuse produced the Mercury pattern.